Come and experience the ultimate upper AND lower body cardio workout at Ebb & Flow Fitness Studio Truro Cape Cod. 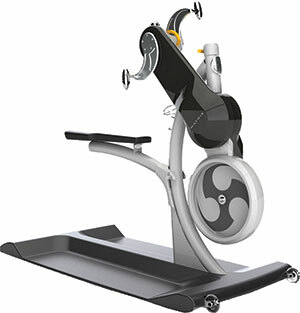 Krankfusion brings indoor cycling and the Krankcycle together for a powerful experience. Upper-body rotational exercise can dramatically improve the cardiovascular system. In fact, studies have determined that arm cranking elicits increases in VO2 max, cardiac output, ventilatory threshold, and blood lactate responses similar to those observed during leg exercise. One of the most exciting contributions of Kranking is its impact on upper-body strength training for individuals who do not enjoy, or have time for traditional weight training. Studies have demonstrated significant increases in upper-body hypertrophy and tonality, and decreases in skin-fold thickness after just 6 weeks of arm cranking. Amazingly, muscular changes in the upper body during arm cranking have been reported even when used for endurance training. Upper-body rotational exercise on a Krankcycle is a complex series of movements performed in a coordinated fashion and reinforced by the activation of core muscles to stabilize the body. The benefit of this activation lies in the strengthening of those muscles, which in turn facilitates the recruitment of larger muscles, increasing the cardio effect. Kranking provides tremendous cross-training benefits to individuals in need of resting fatigued primary muscles or an injury. Current cross-training methods typically use the same fatigued muscles in a different modality (e.g., cycling in place of running). Kranking however allows the athlete to continue training at a level that will maintain central cardiovascular adaptations while providing complete rest for the primary muscles used in most activities. The Kranking system provides another set of limbs with which to maintain a maximum level of caloric burn during a single training session. Kranking will encourage people to train their upper bodies for adaptation to endurance and enhanced O2 consumption. This will lead to a greater ability to burn calories with the upper body by increasing full-body O2 utilization. The ability to hypertrophy the working muscle yields an increased at-rest metabolic rate and caloric burn as well. Additionally, the dynamic exercise protocols demonstrated by our Master Trainers will elicit a greater VO2 and caloric burn after the exercise session is over. Call today for your personal fitness appointment! Ebb & Flow Fitness | Cape Cod © 2015. All Rights Reserved.